Has twitter become “uncool”? Have we moved on? For me twitter has always been a sanctuary for like minded individuals to share collective knowledge and experience on a global scale. Apart from the occasional lunatic, my timeline is always alight with new ideas and discussion that I often share with students and colleagues. However, there appears to be a shift in how I’m using the platform to develop my own educational needs recently and I’m a bit unsure if we are using twitter to the same degree as other social media platforms? How are you using twitter. I’m only asking this question as I’m terrified that the fashion that is twitter may pass me by like the iPhone for the blackberry. Technology changes and so do social media platforms. 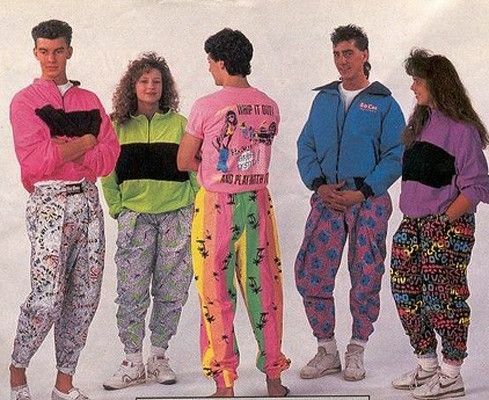 I don’t want it to become like the 80’s when my “parachute pants” gave way to the “shell suite” overnight and nobody told me. You would tell me? For the past few years I have been using twitter to keep my finger on the pulse of change within emergency medicine. I follow links to journal article, read clinical guidelines and find the occasional research piece I would never have previously thought about reading. Twitter has always been one of the tools in my arsenal of learning that keeps me abreast with change and developments. Evidence that Twitter can be used effectively to encourage educational development has been available for years. I’m currently reviewing a dated journal article by Reynol Junco et.al (2010) on how the use of Twitter in an educational setting promotes student engagement and learning, but I can’t help wonder if twitter is still relevant in our changing social media climate. Is it possible that social media tool has become unfashionable and that another emerging technology has appeared. Has that day arrived yet? This entry was posted by Matthew Harris , on Tuesday, May 22nd, 2018	and can be found under messroom, News. You can follow any responses to this entry through the RSS 2.0 feed. Both comments and pings are currently closed.